Color the pictures and practice writing X x on the primary-ruled lines. Color the pictures on the hat and assemble to wear it. Use this worksheet to learn how to write lower-case x. Trace along the gray lines to practice writing lower-case x. 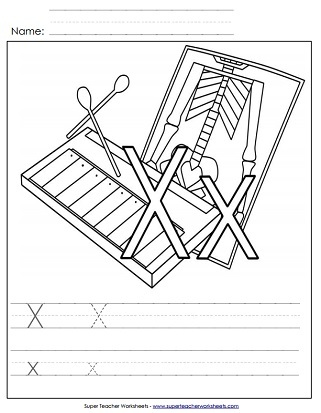 Use a pencil to trace along the dotted lines to practice writing capital letter X. 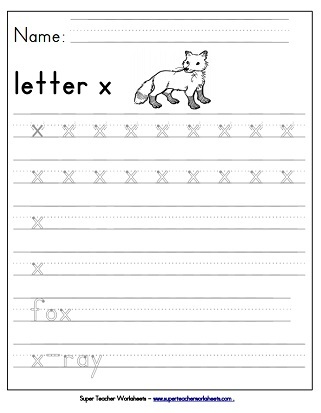 This worksheet is a great resource to practice writing capital letter X. Review writing and reading the letter X x. Use colorful ink dabbers to mark each circle on this worksheet in the shape of letter X.